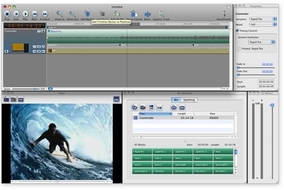 Create soundtracks for your videos; demo available. Developer website: SmartSound Software, Inc.
Is there a better alternative to Sonicfire Pro? Is Sonicfire Pro really the best app in Audio category? Will Sonicfire Pro work good on macOS 10.13.4? Sonicfire Pro is designed from the ground up to help you create perfect music soundtracks custom fit to your videos in just minutes. No other audio software is as fast or as easy in creating the music you need to make your visuals come to life and custom soundtracks are the key to high-impact, professional quality videos. Version 5.8.7: Release notes were unavailable when this listing was updated. Sonicfire Pro needs a rating. Be the first to rate this app and get the discussion started! Now the bar has been raised once again. With the new Infinite Search Maestro you'll have limitless ways to find the perfect cut and manage your SmartSound library, including purchase and download of individual SmartSound files. Now, you will always be able to get just the right cut for any scene you score, in real time, while you work on your scene. Create Perfect Musical Soundtracks, Automatically.